It’s about Who we are praying to, not what we are praying for. If you remember several blogs ago, the Lord’s Prayer begins with the nature of God: that He is our Father, that His name (character) is holy (meaning, “set apart”), and that His Kingdom and will are the most important things we can align our lives to. After a couple of lines of specific petitions (daily provision, forgiveness, protection), Jesus reminds us that what makes prayer powerful is not what we ask nor how we ask it, but Who we are asking. It also serves to re-align our prayers, lest we forget that whatever God does with our prayers, what we desire most is His Kingdom and will. 1. “Thine is the Kingdom” – there is only one King in our lives (and it’s not us). In this declaration, we humbly abdicate the thrones of our heart to Him. 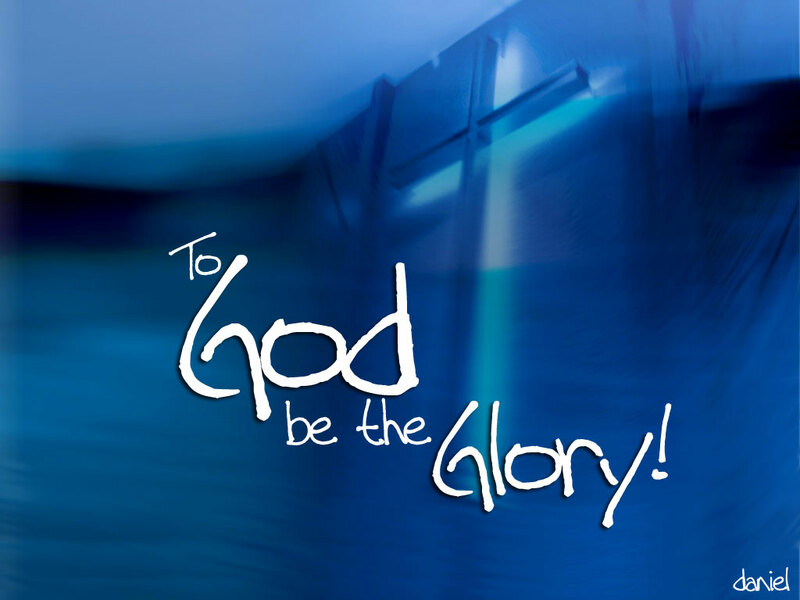 We also give ourselves fully to the larger work of God’s reign on earth through Christ. My agendas are jettisoned for the purposes of the Kingdom of God. 2. “Thine is the Power” – this recognizes a couple of things. First, I recognize that the only way these prayers will be answered is through God’s power; not my own. I cannot, in my own effort, build God’s Kingdom, nor can I do His will in my own power. I need grace, strength, and determination that come from God’s hand. Also, at the same time, I dedicate whatever power I can contribute toward His agenda. I submit my hands, my feet, my intellect, and my passion to His work and ways. 3. “Thine is the Glory” – when I serve God and allow Him to transform my life, Light will begin to shine in and through my life. I know that this Light (aka “glory”) does not come from me; it comes from Him living in me. So when I give God the glory, I’m not just acting modest (“aw shucks, I had nothing to do with it”), it is the Truth. The Light comes from Him. The transformation came from His hand. The desire to do good and right? Yep, it came from God, too. I love the scene in the Revelation where all the saints, throughout the ages, cast their crowns of gold down on the glassy lake before the throne of God! We do it because it is totally the RIGHT thing to do. It’s all because of Him! “Forever” – is not a time in the distant future. Forever is the present and the future. It begins the moment Christ is Lord in our lives. As time and space define the parameters of material existence, “Forever” defines the parameter of the realm of God. “Forever” is the realm we choose to live in each day as we practice Whole Life Worship of God. It’s all pretty awesome, isn’t it?